I'm in the process of completely rethinking my business model, and that will be my primary focus as I plan this year's business retreat for myself. Your business model doesn't have to be at all complex, but should provide the guiding force for all that you do, like guiding you to the opportunities to accept (and those to decline), the joint ventures and strategic alliances to pursue, and the new ideas you should retain and develop, as well as those to let go of. 1. Make clients pay well for your most valuable commodity -- your time. I see many service business owners tying themselves up with (and tying themselves down to) far too many 1:1 clients. You have only so many hours in the day, and at some point you'll hit the wall and not be able to expand the number of 1:1 clients you see. Sure, you can hire and train additional staff to handle the overflow, but in many cases, you make less money in this model while tripling your headaches. Make your 1:1 time with clients your highest-fee service, charging a premium fee to dispense your expertise. 2. Ongoing recurring revenue is key. Feast or famine seems to shape the life of the service business owner, regardless of industry. Wouldn't your life be much more sane if you knew that you could count on recurring revenue each and every month, rather than having to constantly go out and find new clients? This was one of the models I adopted early on in my virtual assistant practice, i.e. working exclusively with clients on retainer rather than a "pay as you go" model. What is it that your clients need from you that you could provide on an ongoing basis with them that isn't time-intensive for you? 3. Always have an upgrade. Never offer a stand-alone product or program that doesn't have a natural tie-in to the next level of program or service that you offer. If there's no way to leverage what you're offering into some type of upgrade, don't offer it! For example, a free teleclass can lead participants to enroll in a paid short-term group program. From that program, plan to enroll a certain percentage of those participants into a recurring revenue continuity program. You can then upgrade a percentage of these participants into a live event or small ongoing mentoring program, and from there make an upgrade offer to your premium 1:1 time. Pick 3-5 of these items that will make up your business model, and then determine what percentage of income you want to derive from each. Your total needs to equal 100%. Then, determine the order in which you offer the components of your program over the next 1-2 years. This becomes your blueprint for action. How do you determine your success? If your business still suffers from feast and famine, take a long, hard look at your business model for the solution. Every offer you make in your business should flow seamlessly into the next, which will result in a steady, predictable income that you can increase over time as you become more expert at designing and following your blueprint. Use all forms of media to build credibility, increase visibility and grow your profits. Create an outline of a topic relevant to your target audience and use it to (a) write an article; (b) create a video; (c) record an audio of the article; and (d) release a press release that documents your opinion on the topic. Include a "call to action" on every communication to your target market and clients. You want to "train" your market to take action upon your request. Your job is to deliver highly valuable content once the action is taken. Your call to action can be as simple as reviewing an article located on your website or purchasing a program that will have a direct impact on the reader's business. Develop an integrated marketing plan that includes social media, conferences, speaking and direct mail. Once you have developed the plan, take UpwardAction® and implement it. 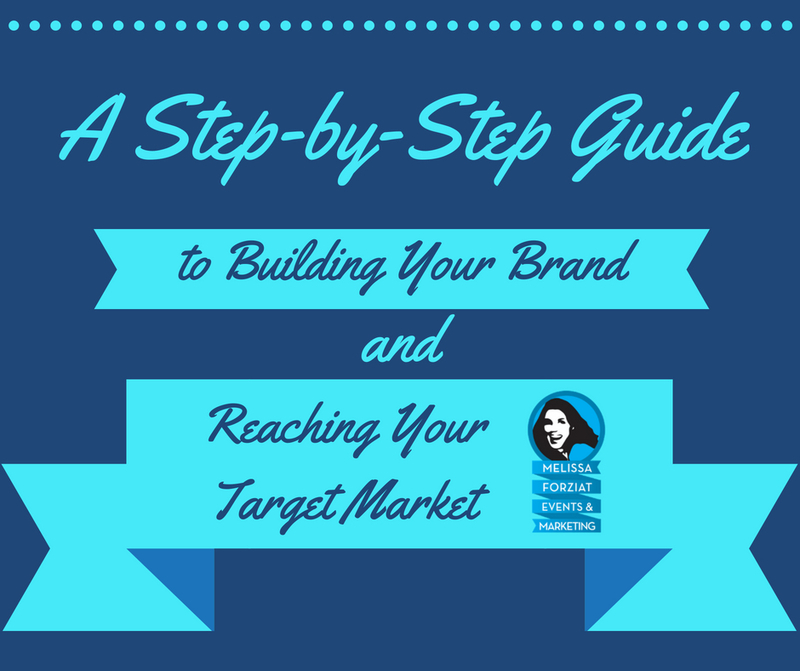 Stay in constant contact with your target market and clients. Great ways to stay connected include sending a weekly or bi-weekly email and developing a postcard campaign. Building a referral-based business requires that you are responsive and stay "top-of-mind". To get more done, faster... create "deadlines" and stick to them. Deadlines are a great way to get in UpwardAction® and counter procrastination. Feature your phone number and email address proximately on every page of your website. Make it super easy for prospective customers and clients to contact your company. Make your product and services descriptions simple and use benefit (not just feature) statements whenever possible. Your market is most interested in how your products will impact their businesses and lives (a.k.a "the benefits"). 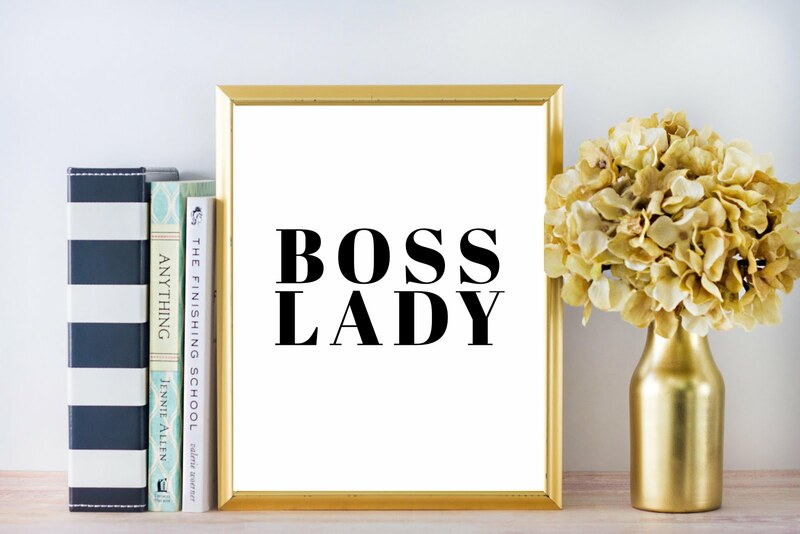 Periodically, give unexpected thoughtful gifts to your top clients. This is a great way to deeper your relationships, build loyalty and differentiate yourself in the market. Invest in your business by attending industry conferences, even when you think you cannot afford to do so. Conferences present amazing opportunities for beginning to build (or nurturing) relationships that lead to future business opportunities. Attending industry conferences has been keep to our success at UpwardAction, as evidenced by the number of conferences that I attend each summer and fall. If you are ready to experience accelerated business success, make whatever sacrifices you need to hire a coach. Coaching is essential to fast tracking your business success. This is the best way to tap into your inner brilliance, focus your actions and side-step business obstacles. Oprah Winfrey has a coach. Bill Gates has a coach. Tiger Woods has a coach. T.C. Coleman has a coach. If you are serious about your business, you cannot afford to not have a coach. Cut an expense and hire one today. This is one of the best business decisions you will make. Know that the difference between thriving businesses and those that barely survive is generally not a lack of knowledge; instead, it is the absence of a system for making sound decisions that allow you to take fast action. Successful people are experts at taking fast (and sometimes imperfect) action. Now that you have several concrete steps for growing your business that you can implement today, start taking action. Use the city of Chicago as inspiration. Through thoughtful planning + action, this city has literally risen from ashes to be an international center of architectural business in less than 200 years. Check out the photos on the right to see what I mean. If you have any questions about how to integrate the tips and techniques in this article into your business, feel free to schedule a session to my brain at Pick Coach T.C. 's Brain. Lawyerpreneur and America's Online Business Coach(TM) , T.C. Coleman, Esq. is CEO of UpwardAction and the founder of LawyersLaunchpad.com. 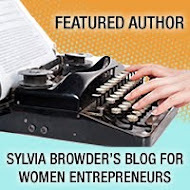 She is also the author of the forthcoming book "ABCs of UpwardAction: 26 Lessons for Building Authentic Success," the popular "UpwardAction for Success" weekly eNewsletter and the InspirebyAction.com blog, which altogether inspire thousands of readers to take daily upward action. If you are ready to harness the power of social media and online technology to attract more leads, convert clicks to clients and build effective online business systems, you certainly want to subscribe to our popular eNewsletter "UpwardAction for Success" at www.UpwardActionforSuccess.com to ignite your online business momentum. On a recent flight I sat next to a businessman who described his wife's love of writing. But she held back from writing the stories she really wanted to write for fear of offending her family. He wanted to know how he could encourage her to follow through. "Would your wife defend a child if she saw one being abused?" I asked him. "Oh yes, absolutely," he replied. "She loves children, she would do it without thinking." "Okay," I said. "I would ask her to stand up for her stories the same way." Suddenly he was basking in the glow of his personal light bulb moment. "Of course!" That's the answer. That's what I teach, that's what I believe. But I also know it's easier said than done. So here's a few tips on the "how" of standing up for your story-and this goes for both fiction and non-fiction writers. 1. What's Great About Your Story? 2. What Makes You Want to Write It Down? Wanting to write something down isn't a thought that comes idly. It's a specific, often difficult, thing to do. What gave you the inkling to want to write it down? With my story that I had published in "Chicken Soup for the African American Woman's Soul", it was a story I told verbally a lot! People liked it and when the opportunity came to write a story, it was the first one that came to mind. It was practically waiting for me to do it. I felt writing this story gave it a new life and suddenly I was reaching many more people than I could telling the story verbally. What difference would it make to your story if it were written down? You want to use the answer to this question and the one above to keep you going, to remind you that you are not doing this on a whim. 3. Who Will Tell Your Story If You Don't? Unless a ghostwriter just happens to come your way and says, "Hey, I think you have a great story, I'll write it down for you", no one is going to tell your story unless you do. Look again at your answers above and remind yourself how important, how great your story is. Now, understand that the story won't be able to live it's potential if you don't write it down. You have to do your part. What would a commitment to your story look like? Would it be writing a few pages every day? Would it be joining a class or a writing community so you can develop the story in a supportive environment? Write down everything that comes to mind. Then, decide what you must do to live up to this commitment. Do you have to re-arrange your schedule? Do you have to find a place to write? This is where you decide to take action and do it. 5. Write First, Worry Later. I receive many questions from writers concerned about what their families will think if they write their stories. They ask me about using pseudonyms for characters and pen names for themselves. Some of their questions are surprisingly detailed considering they are discussing something they haven't started writing yet! I say any and all questions can be dealt with AFTER they've written the story or book. Until then the worries they're having are simply about a fantasy. Write first, worry later! You know when it's time to make a change in your career. You can feel the desire for a different kind of life, and you know that what you're doing right now is not fulfilling. It's not an easy decision to make, but in the end, you have to consider if you want to stay in a position that will drain your energy and your hopes with each passing day, or take a risk. Risks aren't just for people going into business, they can also involve the actions we take everyday. Having low expectations of what we can achieve can lead to us staying safe - and staying stuck. I've been asked many times by people still in the corporate world if it's possible to work for yourself and duplicate your employee salary. Sure it is, but to be honest, why would you want to? Employee salaries are set by many factors that often have little to do with the quality of the work. Wouldn't you want more once you're in control of what you receive? When you decide to take a risk you've made a decision to break through what you thought was possible up to that point. You're going into unfamiliar territory with no idea what will happen after you start out. For some people, this is not only uncomfortable, it's impossible. They'll take a step, then pull back once the anxiety level rises and they realize that they don't have the security of knowing what to expect. Living in familiar habits is easy - even if they're negative they're still familiar. Stepping out when you can't see what you are stepping into is hard. It takes courage and faith that when you do step out, there will be something solid to support you. It takes belief in yourself and a willingness to get back up again if (and when) you fall down. The one sure way to break through your limiting beliefs is to take a risk. If you're in a rut with your business and you're struggling to find the next big idea, then putting in more hours at your desk is usually NOT the solution. Stop banging your head against your laptop and try one of these quick solutions to reboot your business brain! 1. Go for a walk. Whenever I feel overwhelmed, I drop everything and take a walk along the beach. The fresh air makes me feel more grounded and at peace. Even if you only have time to walk to the mailbox, it's one of the easiest and most effective ways to recharge the brain. 2. Shut down your computer and grab a pen. When you need to get yourself out of your head and into clarity, try picking up a pen and paper. Want even better results? Use colored pens or markers and draw what you're thinking, too! 3. Take a siesta. Short periods of shuteye are a proven way to help you stay sharp. I take at least one nap per day – sometimes two. Naps not only improve your performance, but I find that I often wake with new or solutions to problems! 4. Go shopping! Not for retail therapy, but to look for fresh marketing and sales ideas. Once when I was at Whole Foods, I noticed some CDs on display and found myself adding two of them to my cart. These are called point of sale purchases, and they're an effective way to boost your bottom line. 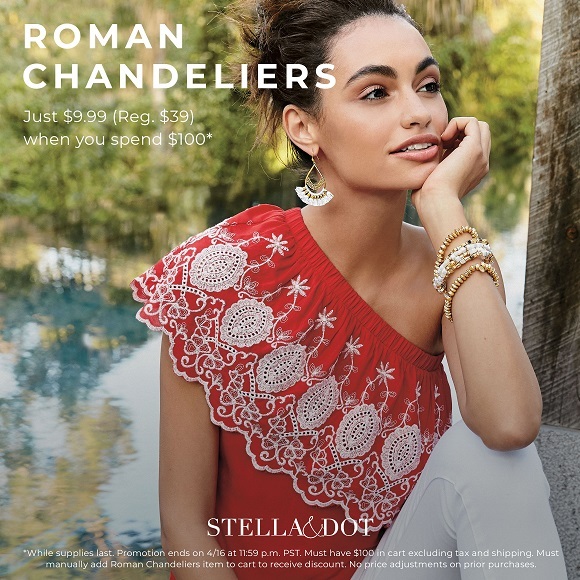 Go see what strategies other stores are using. 5. Hit the classroom. This is one of the best ways to jump start your business. Every day, there are countless seminars, workshops, and classes going on. Can't leave the office or your house? Many are taught online or over the phone! 8. Change your scene. Go work in a different room, out on the patio, or at a local library or a coffee shop. Get out of town, if you can. Once, when I just could not seem to finish a large writing project at home, I booked myself a week at a spa resort, brought my laptop, and shut off my phone. Worked like a charm! Do you know that one of the best ways to build a successful online business quickly is through joint ventures? I know this concept can bit a bit hard to grasp to those of us who like being a lone ranger (kind of one of the common traits of being an entrepreneur, right?). But I hope you'll join me as I more fully embrace the "no one reaches success alone" philosophy myself. To begin, what exactly is a joint venture? Simple: a joint venture happens when two or more business owners decide to do something together that benefits all parties. For example, when two authors write a book together. Or when three colleagues produce a live event together. Or when twelve experts come together to hold a telesummit. Besides the obvious benefit of helping each other build your email list of potential clients and customers, there's also the added value you give to your own list by introducing them to something that can benefit them in addition to your own offerings. And you simply make more money! How? Well, if you've been following along with me for awhile, you know that the way to build a successful and sustainable business online is to 1) find out what you niche wants; 2) create it; 3) offer to them via the list you've been building all along. Because it's those people on your list who have raised their hand to tell you that they want more information from you. They are the people who will tell you what they want and then buy it from you when you offer it. Joint venturing can also make the work you do easier, more creative, and more fun simply by sharing the idea and tasks involved. 1. Get to know your potential partner first. 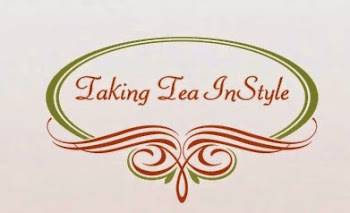 Sign up for their Free Taste and/or ezine. Do some research and reading to see what they are about and how you can potentially complement each other. 2. Partner with someone who shares the same audience as you. A great potential joint venture partner is someone who already has an email list whom they've developed a relationship with and to whom they can and do make offers to periodically. 3. Pick 1 or 2 potential partners to approach first. Create a list of 5 or so potential joint venture partners, and pick your top 1 or 2 to approach with an initial "I was wondering if perhaps we could do something together - here's my idea" email. Be sure to tell them what's in it for them, but keep this first contact simple and somewhat casual (yet professional) in tone. Once you do your first successful joint venture, you might find that it was so easy and enjoyable that you'll start doing more and more of them. I know I will! Jim is going to demystify the process of learning how to look at your not yet developed idea, or at your current business through new eyes. Discover the secrets to getting ahead of your competition by researching their weaknesses and strengths. Gain momentum by studying your own market trends and taking advantage of them. What does Jim recommend researching? *What kind of people are they? *Are they able to buy? *Am I offering the right product? *Is my pricing consistent with what buyers value? *What do customers think of my business? *How do I compare with my competitors? *What is my market risk, penetration, returns? *Does my product have crossover points in other sectors? Let's have fun and see how we can grow our companies! 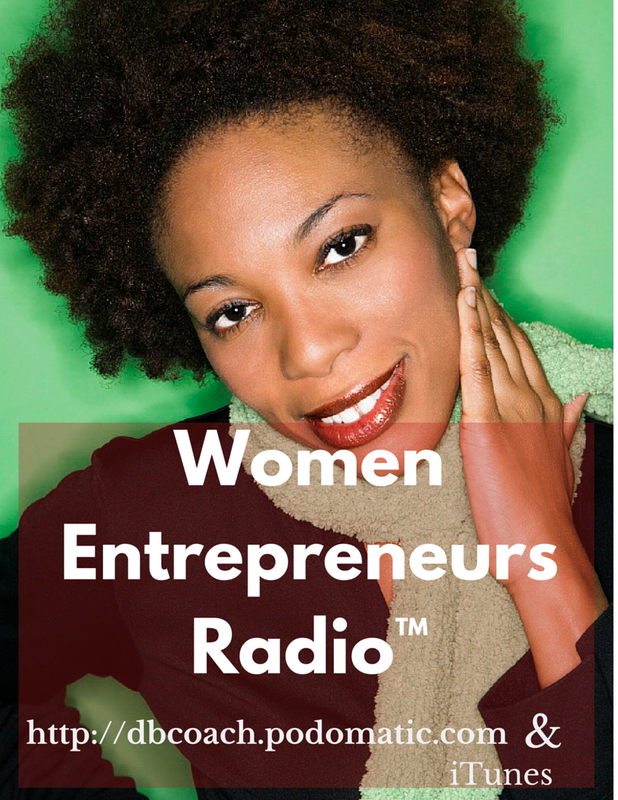 Deborah A. Bailey, writer and host of Women Entrepreneurs Radio gives strategies for creative entrepreneurs who get bogged down from having "too many" ideas. Bring order to the chaos without sacrificing your creativity or your vision for your business - or businesses! 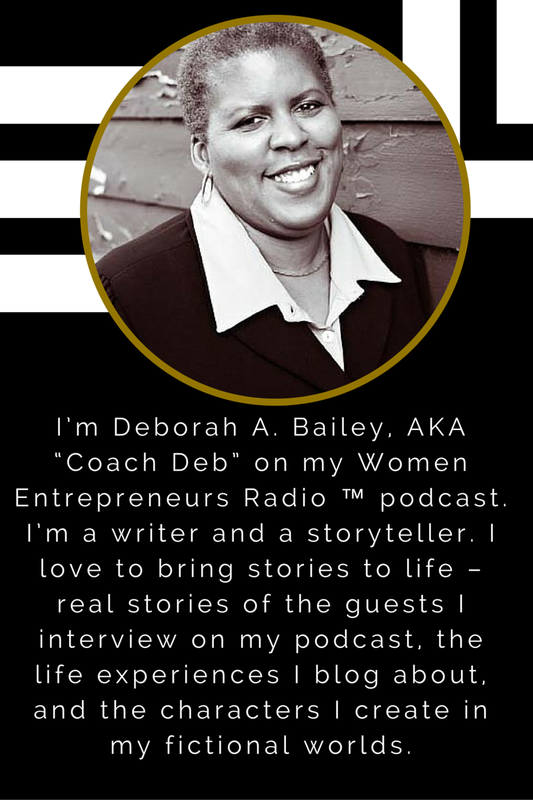 Learn more about Deborah A. Bailey at http://dbaileycoach.com. Have you been looking to establish a business-attracting brand for your new company but don't know where to start? Join Francine LaMarr, Certified Personal Brand Strategist for this 6-part working teleclass series where you'll learn how you can affordably attract new business by taking aim at your target market! Choose one of two sessions: Wednesdays at noon Eastern starting September 9 or Mondays at 8pm Eastern starting September 14. *Who your target market really is. *Where you can most easily find your next client. *The best timing for approaching your target. *The most effective way to get your product or service in front of your target. *The real benefits of your product or service. *How to tell your next client why they can't afford to buy from anyone but you! You'll be ready to implement basic branding strategies using the demographics and psychographics of your target as well as an analysis of the competition as your guide. You'll have created a customized promotional action plan for your business, which showcases your strengths when getting in front of your next client. Classes are limited to five entrepreneurs, so reserve your space today! When you were a kid there was nothing you couldn't do. Well...perhaps not nothing. But if you put your mind to something you were going to do it. I remember in gymnastics I wanted to be able to do a back flip. I can't tell you how many times I landed on my head, but I kept trying. The first time I actually made it all the way around, I was so stunned that I had actually landed on my feet that I fell over backwards. Here's the question: What happened to that kid? The kid that was too clueless to know they were trying to do the impossible. The kid who kept trying and trying until they made it work? I think we let reality creep in. We started to believe the nay sayers. We started to give in to our doubts because that seemed like the "grown up" thing to do. We discovered pride, and ego. When you were a kid you knew you would get it with just one more try. Now as an adult, you think you shouldn't have tried to begin with. Look at the ones who "make it." We've all heard the stories. Michael Jordan's shooting average was 48.2 percent. Arguably the best basketball player of all time missed more shots than he made. Babe Ruth's batting average was even worse. He hit the ball a little under 4 out of every 10 times at bat in a sport where the record career batting average is under 50% Somehow as adults we expect ourselves to bat 1000. Now think about how you would have approached your finances when you were a kid. I'm not talking about the impulsive candy store purchases. I'm talking about how much effort you were willing to put in to getting something you really wanted. Remember spending entire summers mowing lawns or selling lemonade in order to pay for something you were absolutely desperate to own? Well, some of the keys to persistence that worked for us as children can be equally effective when implemented as adults. Have a clarity of vision. As children we knew exactly how much that new video game cost and we broke down exactly how many lawns we needed to mow, cars we needed to wash, or errands we needed to run to earn that amount. It isn't enough to say "I want to make a lot of money" or "I want to be rich." Precisely how much money do you want to have? Remember that the first goal isn't the final goal. Start with a figure you can believe in, experience the success of achieving that number and then set a new amount to work towards. There will be times your pace may slow, but having clarity about where you are headed will help to keep you moving forward. Surround yourself with the right resources and team. Remember enlisting the help of your friends or the adults in your life when you were working towards a particular goal? But then we "grow up" and suddenly we all think the best thing is to become lone rangers. No one ever accomplishes anything significant on their own. And it's much, much harder to keep going through challenges, hurdles and setbacks without the support of those who are on a similar path. Build a team of individuals who are willing to be there for motivation and accountability along your journey, and get the coaching and guidance you need in areas you can grow stronger. Approach every task with enthusiasm. My seven year old daughter doesn't exactly love doing chores. But two minutes into cleaning her room or sorting the laundry, she's singing, dancing and has obviously turned it into her own personal game. The truth is that we stick with things we feel good about. But unfortunately, we can't always expect the enthusiasm to happen naturally. You have to be willing to find the excitement in all the things you are doing to achieve your financial goals. Work to bring energy even to the tasks you dislike. Almost miraculously you'll find you're getting things done faster and with a greater sense of ease and fulfillment. When it comes to your financial success, the reality is that persistence matters. Sure you'll fall down. But it's the ones who get back up again that make it where they want to go. She’s survived natural disasters, bad relationship choices and has lost everthing several times. She’s been injured on the job and flat on her back from botched medical procedures. She knows what it takes to pick yourself up and keep going because you're committed to a dream. As a single mother, she’s done whatever it took to pay the bills while still trying to do what she was “supposed to do”. She has spent time in every field from agribusiness to Zen studio design. She’s been a flight follower for an airline in Arizona and worked on a trauma team as a Respiratory Therapist in California. With over 20 years in the corporate world as well, DeBorah brings an elevated level of hands-on experience to every interaction. Recently I did a survey of the participants of one my workshops on how to start an podcast. I asked them if they were planning to write a book in the future. About 80% of the respondents said yes. I’ve worked with people on their book proposals, and what I’ve found that aspiring authors are often not clear on what they’ll have do to get a book published. They may have an idea that’s based on their beliefs about book publishing, or what they’ve seen in movies or TV. As a writer I’ve been exposed to the publishing world for quite some time, and these are some important points I’ve learned along the way. 1. Get clear about why you want to write this book. How is this going to help your business? If you want to write it because you’re imagining some very large and lucrative book contract – stop right there. Those large juicy contracts are not as common as you may think. Save yourself a lot of frustration and determine what your real reason for writing this book is before you begin. 2. Do your research. If you want to go the traditional publisher route, then you’ll have to create a proposal and submit it to an agent (along with sample chapters). If you’re not familiar with book proposals do a search on Google and find out the format. A book proposal can be very daunting to write and it may make sense to hire someone with experience to assist you (or to prepare it). Don’t skimp on getting it done properly. If it’s not, your book may be rejected before you get beyond the proposal stage. In your research you’ll have to analyze the market, study your competition and create a plan for your own marketing and promotion. 3. Create your platform. If you haven’t heard this term before, it’s time to become familiar with it. Whether you self publish or get a contract with a traditional publisher, you will have to have a platform. What is a platform? It’s just like it sounds – a foundation of credibility that says you are an expert in what you’re writing about. Your platform should articles, blogs, other books you’ve published, videos, TV shows you’ve been on, credentials such as certifications and/or degrees – your accumulated experience and knowledge that says you’re qualified to write about this topic. At a writing conference I recently attended, every agent mentioned that a writer must have a platform. If you don’t have one, start building one now. 4. Be ready to invest. If you want your book to be a success then be ready to invest in, at the very least, editing, book cover design and a publicist. (If you self publish the publisher may offer those services.) I’ve spoken to writers who have dreams of publishing a book, yet they thought they could get a polished end result with very little investment. The truth is that you have to put time and money into your book if you want to have a professional product. If you aren’t prepared to do that, then perhaps publishing a book should wait until you can make that investment. 5. Be committed. A book produced by a traditional publisher may not come out until 12-18 months after the contract is signed. (If you self publish the time frame will be shorter from writing to publishing.) In addition, if you’re going the traditional route you’ll have to find an agent first. The major publishers usually do not accept submissions directly from authors. You’ll have to be committed to your book and ready to do what it takes to bring your dream to life. There are many people with dreams of publishing a book, but many of them have no idea what’s involved in the process. Do your research up front; find out what is required and prepare yourself to get your work published. 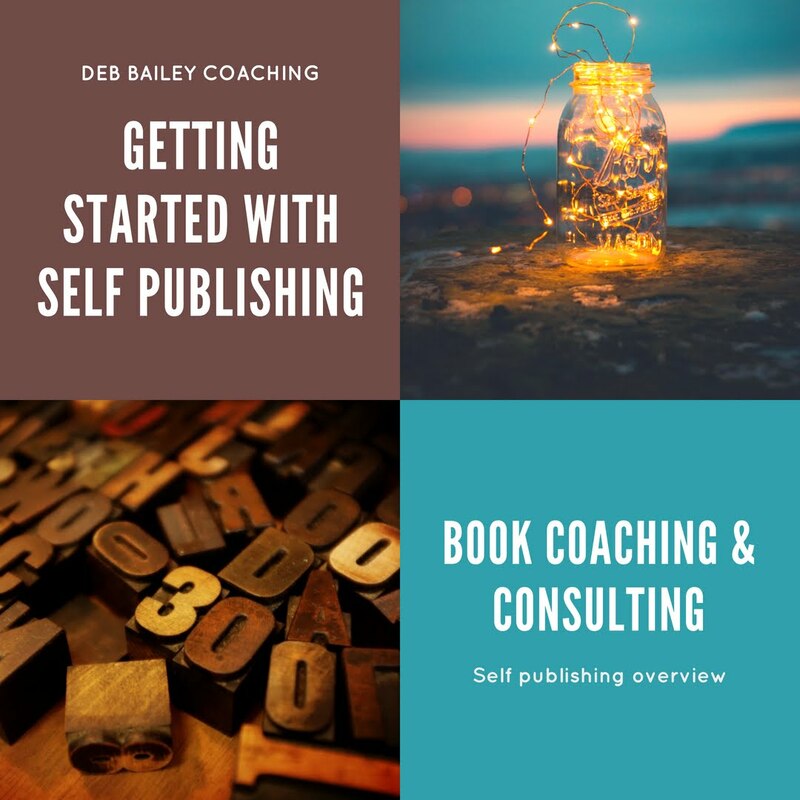 Deborah A. Bailey is author of several novels and non-fiction books including, “Think Like an Entrepreneur: Transforming Your Career and Taking Charge of Your Life .” Visit her site for more information: http://DBaileyCoach.com. Another Workshop or a Focused Attitude - Which Does Your Business Need Most? An online friend of mine - someone met at a workshop years ago and we've casually kept in touch - direct messaged me on Twitter the other day to ask which of two upcoming workshops she should attend as she "needs a boost this year". The people putting on the workshops aren't important here as I've been to conferences hosted by both and they do a great job. The real question here is *WHY* my friend believes she needs to go to either of these in order to get the boost she's seeking in her business. They're offering something you want/need in your business AND you're going in wiYour ideal client is also attending AND you're going in with a plan of how to connect with her/him and start a relationship (notice I didn't say "sign them as a client"). Other business owners you'd love to strategically partner with are attending AND you're going in with a plan of how to connect with her/him and start a relationship. You're looking for a quick increase in revenue and believe the conference/workshop will be the magic pill you've been seeking. Your ideal client is also attending AND you're planning on signing 3 new clients right then and there (even writing this feels desperate, imagine the energy you're putting out in this case). You've always gone to this person's conferences and workshops and they're like a reunion - you don't want to miss out on seeing everyone. In this case, remember the price tag you're paying for the conference plus any travel and meals, not to mention the time away from your business and then decide if it's worth it. You've got so much to do in the office, the project you're working on just isn't coming along as quickly as you hoped and you need a little break, but not a vacation, so this conference will be just the thing to keep you productive while giving you that break. Conferences and workshops can be marvelous investments in your business or they can be an expensive distraction from what you should be focused on. With conference season fast upon us, now's the time to determine whether or not it makes sense for you to attend any of the several out there. What results/information will I return home with? What's my plan for implementing everything I learn? Do I have the time/budget to implement everything? Will I need to hire a support team? Can I afford one? What's the TRUE cost of the conference/workshop? Including ticket price, travel, hotel, meals, time away from home/office (What won't get done while you're away? What can you delegate?)? Can you afford it without charging up a credit card? Is it worth it TO charge up a credit card? Emotions aside, is now the best time to attend a conference/workshop on this topic? Why or why not? What does your business need most right now? The information from the conference or for you to buckle down and get things done? Like so many other things, your intuition has the answer - just clear away all the clutter and let it speak true. And if you're having trouble clearing that clutter, take the above questions and write the answers down (don't just answer in your head, it doesn't have nearly the same effect). Once done, the answer usually will be clear. 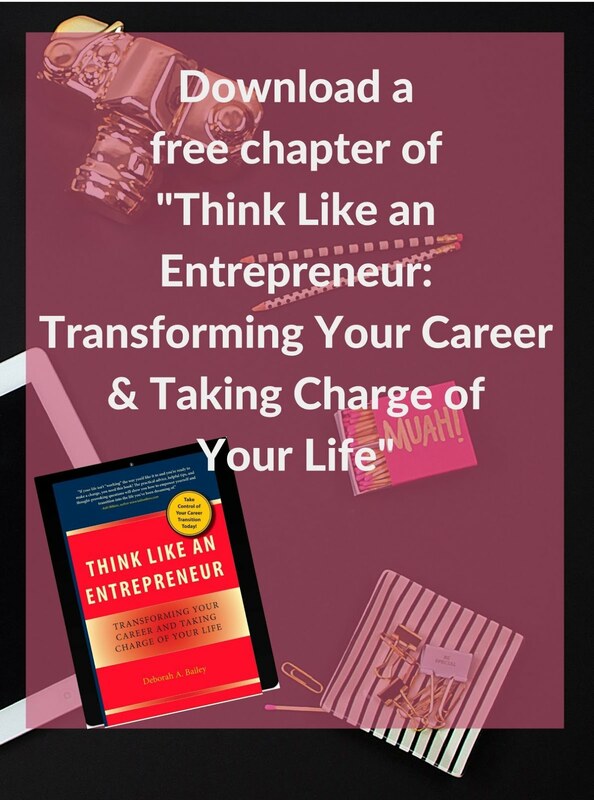 In part one of her special series she shares why entrepreneurial thinking is required for success today. Shifts are occurring right now that are changing all of the rules. Wondering why you are doing all the “right” things and still not succeeding? Learn how to get out of survival mode and prosper. What Is a Platform and Why Do You Need One? It seems these days that the word "platform" is popping up all over the marketing world. This idea that was once an obscure term for industry insiders only, is now being seen as the THE strategy to follow. But what exactly is a platform? A strong platform establishes you as an expert in your field, makes you money, positions you for movie and book deals, makes you eligible for corporate sponsors, sets you up for television and allows you to monetize your dreams. A platform is your key to business success. A platform, more specifically, is your career's integrated big picture. Your platform is the combination of your brand, your web presence, the things you write, the speeches you give, the products you sell, the classes you teach, and all the ways your name is known and spread, including quotes and appearances in the media. 1. Clearly and concisely communicate what you do, why you do it, and why YOU are the expert in your field to a massive list. 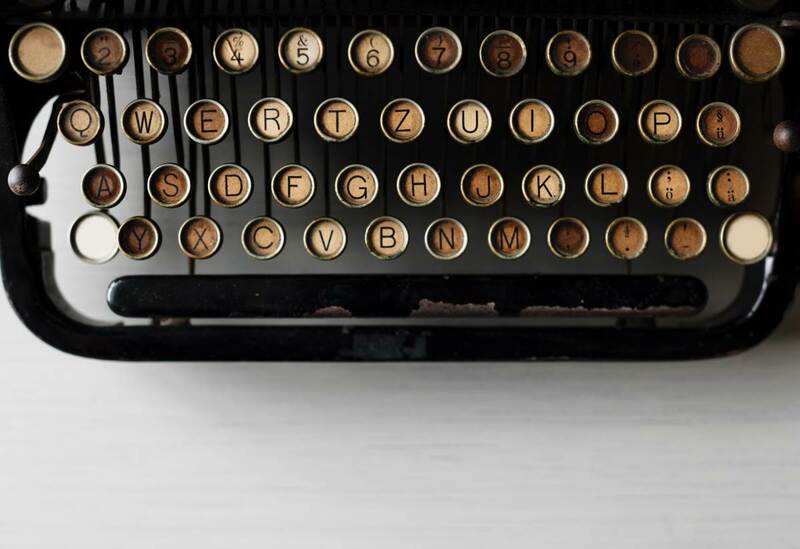 Elevator pitches, mission statements, website blurbs, marketing manifestos—all these things are opportunities to say, "This is me in a nutshell." That nutshell is very important, especially when first starting to establish your platform, because you often will only have seconds to grab attention. Platforms are all about the attention paid to you and your work. If you can't quickly and clearly communicate what is your special message, your audience will move on to someone who can. Remember, an expert is someone who is so certain of their message and ideas, that they can "own" that message in any conversation or professional engagement. 2. Establish a home base on the web. This is most easily done with a blog. With a blog you can create a central holding place for your main ideas, your videos, a calendar of your events and engagements, a list of your publications and appearances in the media, and links to all your other places on the web such as your Twitter, Facebook, and LinkedIn. By having all these things together in one publicly accessible place, you not only are making yourself more available to being found by anyone and everyone, you're offering them a cohesive snapshot of what you're about and why you're the expert in your field. The new film "Julie and Julia" offers a good example of how a blog can play an important role in building a platform. The real life Julie Powell wanted to cook all of Julia Child's recipes in a year, started a blog, wrote a book, and now there's a film! She was just doing something she was genuinely interested in, and she did it in a way that other people could access it. 3. Write! Create articles for your blog, your ezine, and any other publication you can get your name into. You'll not only be establishing your ideas and providing multiple opportunities for people to quote you, you increase your web and media presence with each article. A small yet consistent publishing presence sets the stage for larger publishing opportunities, like book deals. 4. Find your niche. To have a clear brand and a strong platform, one must be able to identify who you're speaking to. Knowing your audience isn't just about directly reaching a group of people who want your services; it is also about having stable marketing ground that you can claim as your own, and then ground you can acquire with a growing presence. 5. Figure out what makes you different. Whether it's your comedic approach to getting over a bad break-up, or offering a holistic view of one's place on the planet along with your body scrubs, no platform can be strong and steady without something that makes you special in your field. You don't have to reinvent the wheel—you just have to have something relatively simple that will make you pop to the media. 6. Be consistent. Take every opportunity to build exposure. Eventually those small opportunities taken will accumulate into a platform that works for you 24/7. 7. The great thing about a platform is that once you get it rolling, it starts to keep itself going. Platform-centered marketing is about making real connections with people—no wonder it is the idea reigning supreme in this social media saturated world! When you are connecting with people and not just networking your way towards clients, you are building career-long clients and contacts. You are not just reaching them with a single product, you are giving them a whole person. People are much more likely to remember you, to quote you, to want your ideas encapsulated in a book if you are bigger than a product—if you are an entire media presence. People always ask me: "Leesa, how do I create meaty content for my podcast, blog or virtual event?" Here are 7 ideas to get you started. Put out a call to clients whose area of specialization compliments yours. Run through your list of online connections - the professionals who contribute their ideas to the same social networks as you do. Think about this in terms of audience intrigue. Who else might your subscribers learn and benefit from, besides you? Maybe you ran a telecourse last summer that went over big. To you, that class feels like it's old - but remember, there are still plenty of people out there who will really appreciate the information. Syndicate portions of your old learning materials, then package in podcast or video format and upload to your blog. Did you email some spot-on advice to a client or colleague recently? Well, turn your advice into a blog post or a teleclass. Check your website statistics. Use Google Analytics or a similar tool to find out who's landing on your pages via which keyword phrases. Do some research on those topics of interest and share your findings with blog readers. Post a question on your blog. "What are the top 3 questions you have about [insert your industry here]?" Have your blog readers or friends/followers in your social networks call in their question via a telephone recording line set up through Virtual Event Audio. Write up their responses as a blog feature or record as a podcast interview. Other people's success stories inspire and motivate us. It develops confidence, builds trust and brings more business. Why not add a category to your blog called Success Stories? Each month, highlight a recent victory or milestone - yours, a client's or a colleague's. Win-win for all involved. Create a buzz around your next trade show or exhibition. Bring the digital camera or video recorder along. When you return, take a few moments to jot down event highlights. Share commentary and footage with your audience. Leesa Barnes is an award winning blogger and critically acclaimed author who helps businesses get active using social media in 3 simple steps. To learn how you can become Marketing Fit, visit http://www.marketingfit.com to get your complimentary to get your complimentary kit called the Marketing Fit Success Kit containing a social media checklist, mindmap, MP3 file and a complimentary subscription to the Marketing Fit ezine. I often get asked the question, "How do I get more followers on Twitter?" Many of my clients want to pay a sum of money for the latest scheme to get them 10,000 new followers in 24 hours or some such nonsense as that. As in all marketing strategies, it's not the number that counts. Rather, it's the quality in the numbers that really matters. So, 10,000 followers who are not members of your target market are fairly useless to you. Of much greater value would be a smaller list of 1000 followers who are all members of your target market. To be interesting, you have to be interested (in others). Try to be a resource and give first before asking for anything. I'm not particularly a social person, nor do I like to waste time making chit-chat with my followers. It's just not my style. I realize I lose some major networking points because of this personality trait, although I will comment on something of a personal nature or add to a discussion on occasion. However, what I do well is educate and provide useful information that people want and need, so that's the strategy I use in my social networking. Quite frankly, that's the primary reason I pay attention to only a small select group of people on Twitter -- they consistently provide me with great information of use to my business, and many times it is this same information that I'll retweet to my followers. Understandably, it's probably taken me longer to build a following than someone who spends more time on this than I do, but in the long run, you have to determine what works best for you and set a finite amount of time each day to devote to social networking so that it doesn't become all-consuming. 1. Distribute your ezine. My ezine is chock-full of useful info each week, and it's connected to both Facebook and Twitter. So, every time I publish an issue, all my Facebook and Twitter followers receive it. 2. Distribute blog posts. My blog is also connected to both Facebook and Twitter, so every time a post is made, all my Facebook and Twitter followers receive it. My more popular articles will be retweeted at least 10 times by different followers on my list because they felt the content was valuable for their network. 3. Distribute your articles. My EzineArticles.com account is connected to Twitter, so every time they accept an article for publication, it goes out to my Twitter and Facebook followers. 4. Retweet the posts of others. I'm regularly retweeting the posts of people I follow that I find useful and think that my followers will find useful as well. In fact, I am regularly cited as someone to follow because I provide great information to my followers. 5. Create a tips hashtag campaign. I've got a tips series that I publish on Twitter where I regularly publish tips on traffic generation for my followers. Many of these have been retweeted over time. 6. Comment on other people's posts. If I have something pertient to add, I'll comment or reply to a small number of posts each week. 7. Be interested in your followers. Ask and answer questions, make referrals, take suggestions, provide support, and do many of the thing you would normally do if you were in a room of people. Use your information and knowledge to build your following on Twitter. Your followers will pass your useful information to their networks, and slowly but surely, your number of followers will increase, as well. sold "Fishing licenses, live bait and fine art". people came in for live bait and ended up buying a painting. dedication to his daughters dream. needs...Sort of an evolution of the old general store. / massage therapist / personal assistant). very committed to their business. marketing for all three services. #1) We live in the age of the specialist. People want an expert. sleeps, breathes and lives what they do? just starting a Website for his relatively new remodeling firm. seamlessly with the home's original character. his general contractor services up front anyway. you trying to cram all you can do into every piece of marketing? why, and market directly to that ideal target market. About a week ago I was talking to someone about how I left the corporate world to become a business owner. He responded by saying that he respected me for taking that kind of risk. That wasn’t the first time that I’d had that kind of response. Usually they’ll say that I’m lucky that I’m able to work from home, or that I’m brave to have taken such a risk. It all depends on how you define risk. I didn’t just get up one day and decide to quit my job. I’d been nurturing the idea over several years. When I finally picked the date to leave my full-time position, I gave myself about 1 year to prepare. I set goals, paid off bills and prepared myself for my next move. Sure, even with planning it’s still a risk to be self employed, but for me it was also a risk to remain an employee. Each company I’ve worked for has had major layoffs. The bottom line for me was accepting that my corporate jobs weren’t as secure as they had been in the past. Each person has to decide what they’re willing to put on the line in order to make a change. Yes, making a career change can be a risk, but for me it was a bigger risk to stay where I was. I risked looking back one day years from now, and wondering why I hadn’t tried. Our local newspaper recently featured an area Realtor on the cover of its magazine supplement. It was a large story including a photo of the woman on the top of the newspaper's front page teasing the story and referring to her as a book author. I was curious to know more about her book so I checked it out. As it turned out, the Realtor had published the book herself and it wasn't her original idea-she had bought the license to the subject (how to sell your house in a tough environment) and tailored it to the area of the country she represents. But did that matter? No! The paper treated it as though it were any book that may have been published by a big New York City publishing house. And if you asked any of her readers if they knew the difference, I'm willing to bet they wouldn't know because the information on how to sell their house was what they wanted, not who published the book! The amazing changes in printing technology has made it possible for self published books to be produced with a level of quality that can rival that of books done by traditional publishers. In the past the look and feel of a self published book was the telltale sign that it wasn't a "normal" book. The design (of both text and cover) was often poor and the paper sometimes badly cut. 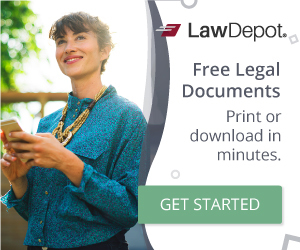 These days print on demand companies can offer similar, if not the same, technology used by traditional publishers and they can do it without requiring print runs of thousands of copies that often ended up unsold in authors' garages and basements. And many of the designers used by traditional publishers also freelance their services out to self publishers. Again, the same quality and talent is available that was once only accessible to the big companies. When I sought out a company to partner with for my publishing projects, I chose Advantage Media Group, specifically because of the quality of their final product. I wanted to be able to deliver a good-looking finished book into the hands of my clients. You should want the same for yourself. The same goes for editing help. Many self publishing companies offer editing as part of their packages. It's also easier to find a professional editor for hire via sites such as Elance.com. You can ensure that your book reads well and is free of typos and continuity problems. Many newspapers and magazines didn't review self published books, and there are some that still don't. But now they look at it this way: a good story is a good story. If your book handles a subject that's important to their readers or viewers (like the real estate example above) or hits upon a trend currently in the news, the media would be very interested in doing a story on you and your book. Again, it wouldn't matter how it was published. On television they seldom mention the publisher, and in print they note the price and publisher no matter how large or small the company. Once upon a time, bookstores resisted stocking self published books. Why? Because unsold books are usually returned to the publisher and the store doesn't have to pay for them. But unsold self published books were non-returnable, which made them more of a risk. However, many companies, including Author House and Advantage Media, have made it possible to include distribution as part of their publishing services. That means they have worked out deals where self published books can be returned, making it easy for you to have your book available in stores. Note: a store may still choose not to stock your book, but if someone comes in and asks for it, your book can be ordered by the store. If they get enough of such requests, they may decide to stock it after all. 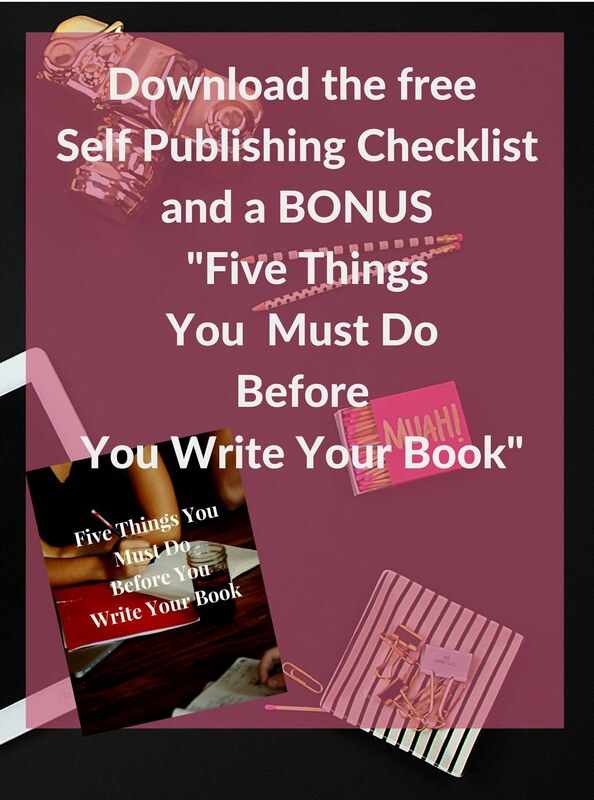 While quality self publishing is still an issue of "you get what you pay for", you don't have to spend what you used to in order to get your book done well. Many companies package their services which allow you to pick and choose what you want in the production process. Is self publishing right for you? Only you can know for certain. 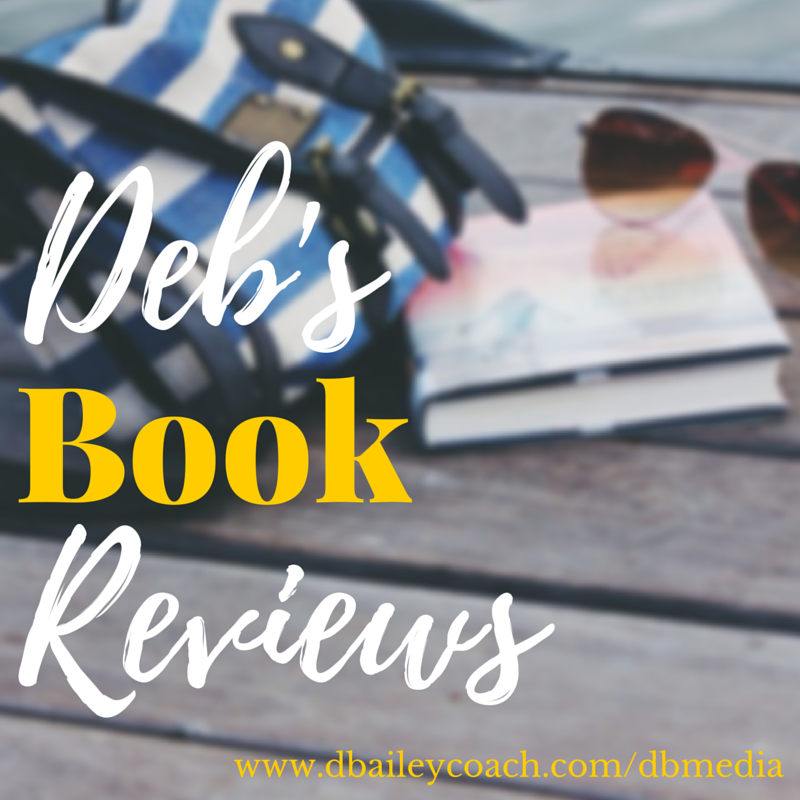 Consider all the things you want out of being published-what will a book do for you or your business? Is this book just for you and family or is it for the masses? Do you have a way of getting the book's message out to the public? How will you sell it? The best way for you to be satisfied by the publishing process is for you to be clear about what you want and then pursue the path that will get you there. 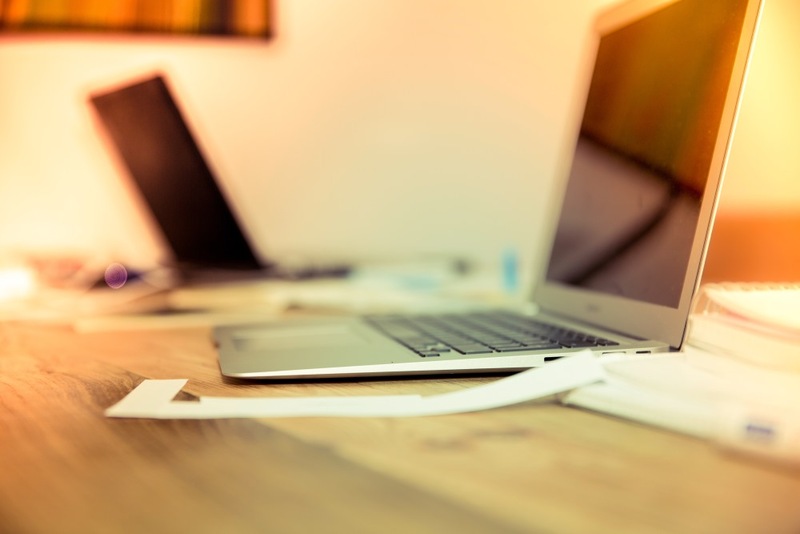 Has Email Marketing Become Obsolete? Even though we are bombarded with thousands of emails per week, email marketing has not become obsolete. In fact, email marketing is one of the most effective ways to stay in touch with existing customers as well as attract new customers if it used correctly. However, many business owners waste countless hours putting together email marketing campaigns with weak copy, bad graphics, and inadequate offers, which end up in the trash bin. So what’s the point of spending countless hours and money on marketing that isn’t going to work? 1. Build a subscriber list. To get started collecting email addresses, offer a sign up page on every page your website or blog. Offer a newsletter, a promotion, or an exclusive offer. Once you develop a robust list of subscribers, you can send as many offers as you want. You can also offer affiliate products to increase scalability. 2. Deliver thought-provoking and informative content. People don't like to feel like they are being sold to, so it is important that to provide resourceful and valuable information. The whole point is to differentiate your business from the rest of the competition. 4. Personalization. Personalizing your emails makes your subscribers feel special. You can customize emails by greeting subscribers by their first name. 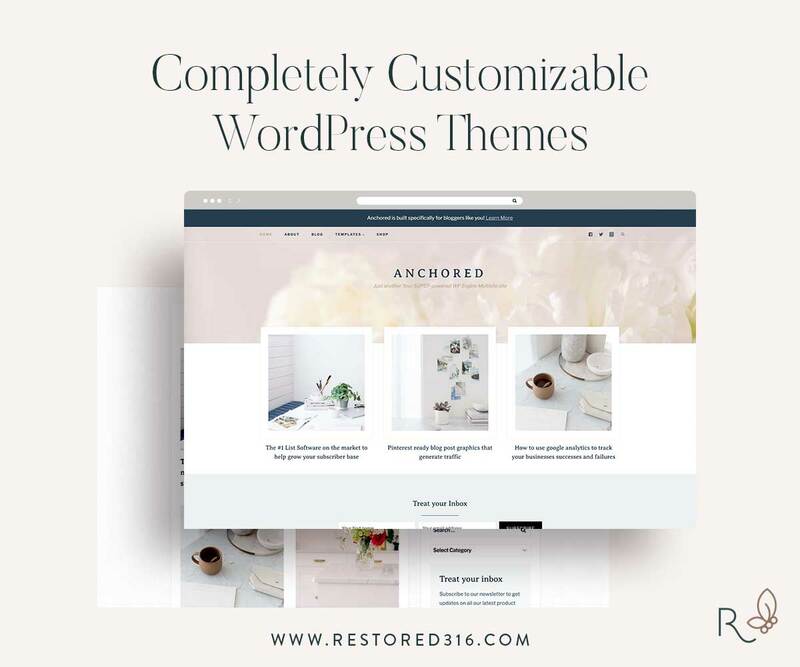 You can personalize the layout – with pictures, the header of the email and the colors of the background. Most auto responders (email marketing companies) offer a variety of template options for no additional cost. However, if you want to have a template customized, these companies will design the template to match your brand for an additional cost. (Check out www.aweber.com, www.constantcontact.com and www.getresponse.com for more information). 5. Call to Action/ Special offer. If you are pushing a promotion or special offer, a strong call to action is necessary. Make it clear and simple such as "Click here for a 25% discount off your next purchase." You have to tell your subscribers exactly what they should do in order to join in on the special offer or promotion. 6. Unsubscribe. Make the unsubscribe button visible in every email. You don't want to frustrate your readers by making it difficult to unsubscribe to your newsletter or email promotions. 7. Getting Prospects to Subscribe. Offer a bonus if they sign up. Offer an e-book or coupon for their first purchase. If email marketing is used correctly, you can keep existing customers in the know of the latest trends or styles; offer your latest promotions and sales, and anything else that is relevant, just as long as prospects and customers don't feel like they are being sold. Tired of the social media treadmill? Frustrated with doing speaking engagements and free teleclasses that give you no new business? In this 90 minute call you'll find out how to connect with your prospects and get new clients with much less effort! *One in five Americans aged 25- to 54-years-old listen to online radio on a weekly basis—an all-time high. Learn how to quickly create podcasts that you can use to explode your prospect list while you promote your services to hundreds of thousands of listeners. You'll easily build a platform for your book, products and services and stand out as an expert. Don't worry if you have to miss the call - you'll receive the recording. After the teleclass you will have the information you need to immediately create and start distributing your podcast. The information you'll receive will pay for your investment hundreds of times over - in fact I'm charging much more for setting up podcasts for business owners. So what you will learn during the teleclass makes this price literally a steal! You don't need technical expertise, all you need is a desire to get your message out there and get clients right now! 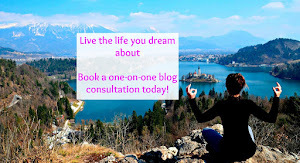 Tejashree Chawla is a facilitator and coach who especially serves her clients in connecting with their inner wisdom and heart centered vision so they can live their purpose with joy. Tejashree earned an MA in Clinical Psychology and an MS in Agency Counseling and initially worked as a therapist for 12 years. Over four years ago, she engaged in coach training from Coaches Training Institute (CTI) and transitioned to coaching and facilitation. An experienced meditation practitioner, Tejashree is also certified in facilitating guided imagery. Tejashree enjoys facilitating experiential workshops and her clients’ journey of discovery and fulfillment. She also offers guided imagery and visioning in her work as tools to support her clients in achieving greater results. Her work is guided by her purpose and heart centered vision of connecting and celebrating the divineness present in each of us. Are you looking for answers and a road map to launching your product idea? Are you ready to begin but don’t really know where to start? Are you ready to research and find out if your idea has legs? Are you ready to see your product in real life? Are you ready to see your creation on store shelves? Are you a take-action person? Speed to Success with the 8-week Power Launcher Tele-course with Launching Expert Sarah Shaw. Next course starting on September 15th, 2009 @5pm PST. Industry insider Sarah Shaw, is now offering her condensed 8-week Tele-course to propel your project forward. This is an investment in your future. Think of this as your street MBA at a fraction of the cost. This 8-week intensive course is on fire and will answer all your questions about the How’s and Why’s of launching a product today. Sarah has been featured in most major magazines & newspapers including, InStyle, Oprah, Lucky, Elle, People, Marie Claire, Women’s Wear Daily, Allure, Accessories, the Los Angeles Times and the Wall Street Journal - to name a few. She has been a guest on Access Hollywood and E! Entertainment and her handbags were used in the movies Ocean's 11, America’s Sweetheart and Legally Blond. Sarah’s bags were sold in Bergdorf Goodman, Henri Bendel, Barney’s NY, Nordstrom, Bloomingdale’s and Neiman-Marcus as well as over 1200 boutiques nationwide. 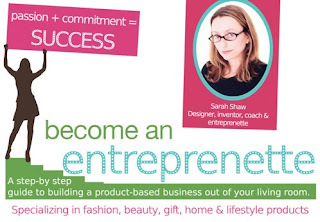 While working with Sarah, you will learn the secrets behind these successes so you can get your product made, into consumers’ hands and onto the glossy pages too! In this program, Sarah will walk you through every step of creating your product and developing all the steps you will need to get your product manufactured and selling in stores. She will help you realize your dreams and position yourself for financial success. Sarah will teach you specific techniques and all the secrets she learned over the years to help start or grow your business. * How to understand your Industry and Competition. * How to build a prototype and find a manufacturer. * How to create a viable press kit and go after the PR you desire. To learn more about how this course or how other coaching programs can work for you, click here. Are You Communicating with Your Clients and Prospects? A couple of years ago two large wine stores opened up in my town. In that same area there were already 3 other stores within about a five-minute drive. I wondered how all of these stores would survive in a small, yet densely-populated suburban area. Right now one of the larger stores is on the verge of closing, and the other new store seems to be doing a brisk business. What was the difference? The last time I went into the more-successful of the two stores, the employees all went out of their way to greet me. The cashier was friendly and the entire experience was very pleasant. They decided to let everyone who walked in the door know that it mattered that they were there. It is imperative that you to do things to let your clients and prospects know that they're important. That also includes honoring your commitments, paying attention to your client's wants (which may not be the same as their needs) and giving them value. Some business owners feel that cutting back on prices is a way to keep business coming in the door - or keep it from leaving. The downside is that price cuts can only last so long. You have bills to pay and expenses to meet. Cutting back on your worth will not be a sound business strategy for very long. Besides, those prospects who buy on price won't stay because you lower it. Instead of putting yourself into that no-win situation, give your current clients more service and make them happy to keep coming back. So what are some ways to boost your communications with your customers and prospects? Ask your clients what they want - don't assume that you know. Make contact with your clients, face-to-face or by phone. Set aside a time to check in with them just to see how they're doing. Think out of the box for ways you can implement new services or products. Don't just follow along with what everyone else is doing. Stay enthusiastic about your business. You can't be negative and expect to make sales. See if you can freshen up your marketing or use different ways to reach out to your clients and prospects. Right now a lot of business owners are pulling back or thinking in negative, defeating ways. The business owners who find new ways to communicate with and delight their clients and prospects will be much more likely to achieve success. Christine Janssen is the Founder and President of denken Research & Consulting, a boutique consulting firm in New York City providing end-to-end research, writing, educational, and consulting services for small businesses, particularly start-ups. Her objective is to help clients transform business ideas into lucrative enterprises via in-depth market research and analysis. She has nearly 20 years of experience in marketing, market research, new product development, business development, consulting, and professional writing. Primary industry experience includes consumer goods, interior design, education, information technology, and financial services. She has a consistent record of leading and delivering value-add competitive analyses, ideation sessions, and innovative marketing strategies to identify unique growth opportunities. She is passionate about innovation and the customer experience, and is a huge advocate of female entrepreneurs. Christine holds a BS in Marketing from the University of South Florida (Tampa, FL), a global MBA in Communication & Information Systems and Finance from Fordham University (New York, NY), and is currently completing her PhD at New York University (New York, NY) where she is developing a phenomenological study on the learning experiences of female entrepreneurs. She is also a Marketing instructor at the Mountbatten Institute in New York City, an international internship program affiliated with the University of Cambridge (UK), and an adjunct professor at Fordham University, teaching Entrepreneurship in the College of Liberal Studies and Principles of Management in the College of Business Administration. I'm going to keep this short and sweet. If you want something, ask for it. Don't make excuses, don't blame other people for not reading your mind and giving it to you - ask. No doubt you've been in situations where you've felt that you were constantly disappointed. The thing you wanted did not materialize in the way you'd hoped - the raise, the thank you, the promotion, the new client, the book deal - we could go on and on. It seems that you're never quite getting what you deserve. You work and work and it doesn't come together. However, when it comes to getting what you want, if you don't ask you probably won't receive. I remember once telling my coach that I'd never been in a position to negotiate for a larger salary when I was in corporate. She responded by asking me if I'd ever tried to negotiate. I said no, but I probably wouldn't have been able to get what I wanted anyway. Was that really true? I have no idea. I never tried, so I can only guess what would've happened. But looking back on it now, I realize that I had been reluctant to take the chance and ask for more than I'd been given. My expectation was that I would ask and be rejected, or made to look ridiculous. So, I accepted what I was offered and stayed powerless. Not asking for what we want can also affect us in business. If we don't let people know that we want clients, then how can they refer them? If we don't reach out for advice or support, how will anyone know we need help? Going it alone may be an advantage at times, but at some point it can turn out to be a detriment to our growth if we don't let people know what we need. Even if after we ask the answer is no, it's really okay (though it might not feel that way) because at least we'll know what the real deal is. Instead of having false expectations of what might happen, we'll know for sure where we stand. Of course, on the other hand, we may receive even more of what we desire than we expected - but we'll never know until we ask. Amazon's Kindle is a electronic book-reading device that allows people to purchase and download electronic versions of books, newspapers, and magazines. Now, you can have your blog available to Kindle readers, as well. Best of all, you can get paid for this strategy. However, you don't get to pick the price Kindle owners pay to subscribe to your blog. Amazon chooses the price, based on what it believes is fair. This means $0.99 or $1.99 per month for most blogs. There is no way to distribute your blog for free. The downside? You get only 30% of the subscription revenue. 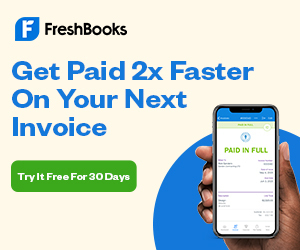 For example, if your blog sells for $0.99 cents and 1000 people subscribe to it via the Kindle, you'll receive $297 per month rather than the full $990 per month paid to Amazon. International publishers must receive their funds via a U.S. check, which comes with a hefty international transaction charge. All Kindle Blog subscriptions start with a 14-day free trial. Subscribers can cancel at any time during the free trial period. If they wish to continue their subscrption, they do nothing and it will automatically continue at the regular monthly price. 1. Sign up. Go to Kindle Publishing (Amazon) to sign up. 2. Create new account. Your existing Amazon.com account information will not work here. You'll need to create a new account. Because you are eligible to receive payments for subscriptions, you'll also need to provide some banking information and a tax ID number. Unfortunately, they don't pay commissions via Paypal. 3. Add your blog. You'll need the following information to complete your submission. 4. Review your entries. Double-check your entries before publishing the results. 5. Publish your blog to Kindle. Once you hit the "Publish to Kindle" button, it will take 48-72 hours to appear in Amazon. 6. Promote your Amazon status. Once your blog is published, you can ask your blog readers to go to Amazon and rate your blog as well as review it. In all honesty, you're not going to make much money from Kindle for the moment. Even though images are black and white and video won't play on the Kindle, it's a convenient way to read blogs on the go. However, I believe that the more methods of distribution you provide for your content, the better. Follow these 6 steps and become a published blogger on Amazon today! With today’s marketplace so cluttered, business owners have to differentiate themselves from the rest of the bunch. Continue reading to learn some of the fastest ways to market your business in a cluttered market. *All marketing material images and tones should coincide with your brand. Website, postcards, mission statement, slogan, brochures, newsletters, letters, press releases, bios and firm description should be consistent.